All universities want to create and foster an inclusive atmosphere where students from all backgrounds feel welcome—but what's the best way to do it? For example, a recent $3 million gift from University of Michigan Regent Mark Bernstein and his wife, Rachel Bendif, will fund a new building, Bernstein-Bendit Hall, that will house the William Monroe Trotter Multicultural Center, a place where all students can "develop a better understanding and appreciation for the multicultural diversity of the university." And now comes news that PwC, the world’s largest accounting firm, has given Smithfield, Rhode Island's Bryant University $1.35 million to support diversity initiatives focused on student scholarships and leadership development. Specifically, the gift will enable the newly renamed PwC Center for Diversity and Inclusion to provide more scholarships for students of color, develop a diversity speaker’s series, and support access programs that allow area high school students to spend the summer on campus. The center will also continue to host a Women’s Center, a Pride Center for LGBTQ students, and the Interfaith Center and Campus Ministry. 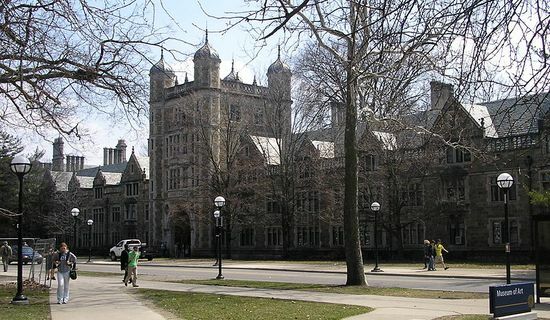 We readily admit that two case studies don't constitute a scientifically rigorous sample size, but it's nonetheless worth noting that both the University of Michigan—a public university with over 43,000 students—and Bryant—a private school with around 3,600 students—are both consolidating their diversity and inclusion efforts by strengthening their respective diversity centers. Most universities will tell you that this is sound approach, yet biggest obstacle isn't a lack of strategic creativity, but dollars and cents. Schools don't typically allocate serious dollars to promoting inclusion, but the narrative may be changing, thanks in no small part to generous donor dollars. "You don’t o­ften see this kind of investment in a diversity center," says Dr. Mailee Kue, executive director of the PwC Center for Diversity and Inclusion at Bryant. "Symbolically, this sends a very positive message and encourages other companies to think about diversity issues." The company in question, of course, is PwC, and their gift to Bryant didn't occur in a vacuum. The accounting firm, which is actually based in London—although that may change by the time this post goes live, what with the Brexit and all—has a significant footprint across the Bryant universe. PwC currently employs more than 300 Bryant alumni, 16 of whom are partners and who volunteer at the university, including guest lecturing and serving on the accounting advisory board and the Board of Trustees. It's globalized philanthropy at its finest. In related news, click here for our take on the PwC Charitable Foundation, which awards grants across 35 states plus Washington, D.C. in the areas of education, youth development, workforce training, and humanitarianism.